Sometimes writing an Island Profile installment comes easily and sometimes the task presents a challenge. 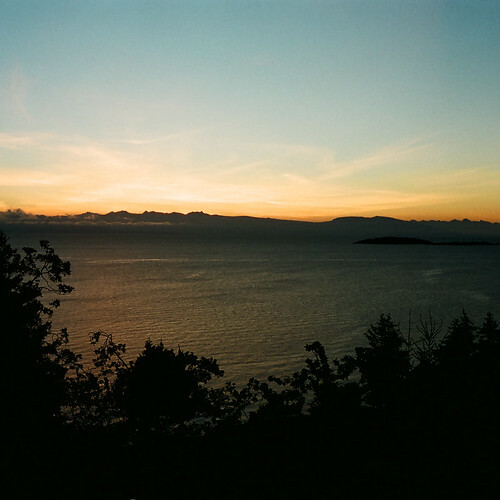 This week I mulled over some possible choices before deciding on Nanoose Bay. I thought that there has got to be more to this seaside community than a gas station, a grocery store and a handful of schools. And, as it turns out, I was right. 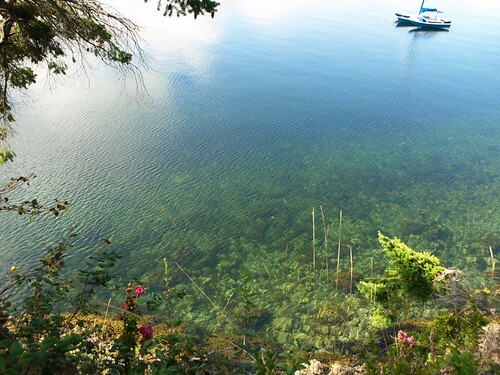 If you’ve ever set foot on Vancouver Island, you’ve likely been to or through Nanoose Bay – and probably without even knowing it. It’s another one of those blink-and-you’ll-miss-it places, a community that wraps around the aforementioned bay on the east coast of Vancouver Island, about half way between Nanaimo and Parksville. Though the name refers largely to the large bay of water off Georgia Strait, the Nanoose Peninsula is an area home to approximately 5,000 residents. And further, it’s said that the community’s name is derived from a First Nations word meaning “pushing forward” in relation to the shape of the bay. [source] Though it’s no longer home to any major industries and is primarily a residential community, it wasn’t always that way. From 1912 to 1942, Joe and Max McKercher established a modern sawmill that would eventually come to be known as Straits Lumber Company. Perched on the western shores of the bay, the sawmill’s chief customer was Japan, exporting BC lumber across the Pacific Ocean. Photo: Ghost Towns and Mining Camps of Vancouver Island by T.W. Paterson and Garnet Basque, Heritage House Publishing Co. Ltd.
A small town called Red Gap set up shop on the west side of the train tracks – tracks that are still in existence today – including a company store, a post office, a school, homes and boarding houses. 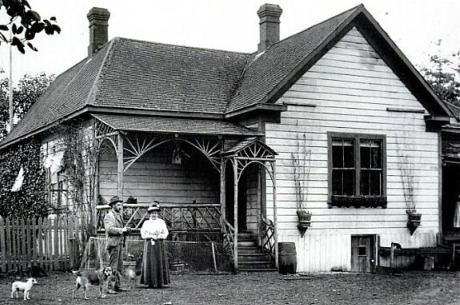 Richard P. Wallace, pictured below with his wife at their Nanoose Bay home in 1913, was the town’s Justice of the Peace. Workers were brought in from India, Japan and China, but they were housed separate and apart from each other. However, following Japan’s attack on Pearl Harbor, the necessity for export dried up and the mill dwindled until shutting down permanently in 1943. It was, at one time, the largest sawmill in the entire Pacific Northwest. Across the water from former Red Gap townsite sits the Canadian Forces Maritime Experimental Test Range, pictured below. 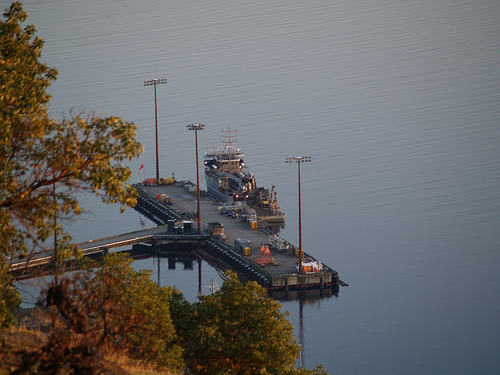 Since the mid-1960s, Canadian and American military forces have jointly tested torpedoes, sonar equipment and other maritime warfare instruments in the depths of Nanoose Bay. 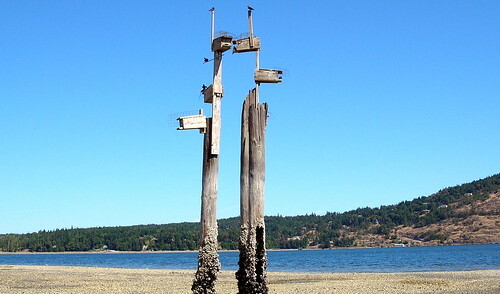 Interestingly enough, this testing site sits on what was once known as Powder Point – also a ghost town. An aggressive attempt at the gun powder and explosives industry, Powder Point had limited success as such and all production ceased in 1925. However, a prominent home found today at the corner of Northwest Bay Road and Powder Point Road is a remnant of the Giant Powder Company. Today Nanoose Bay is a community that’s both sleepy and tranquil. It’s home to retirees, young families and those who wish to be close enough to nature while enjoying the conveniences of being close to city life. 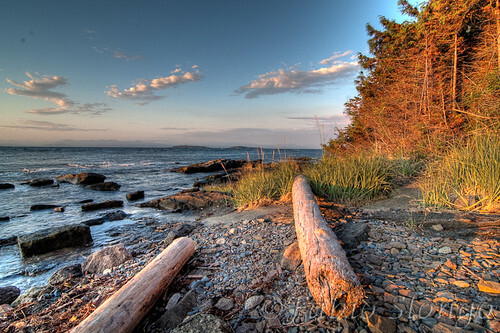 The community of Nanoose Bay stretches beyond the bay itself and along the shoreline almost to Parksville. What isn’t touched by water is largely dotted by farmland. 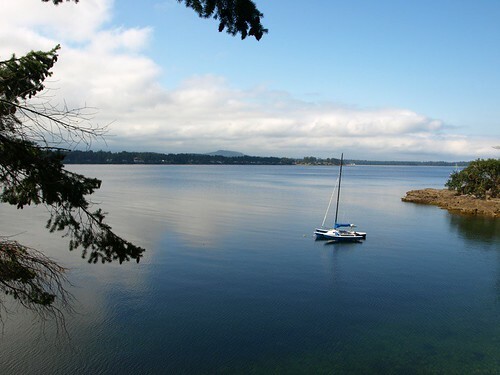 A fantastic hub for recreation and vacation opportunities, particularly boating and kayaking, Nanoose Bay is marked by charm and character that is distinctly its own. 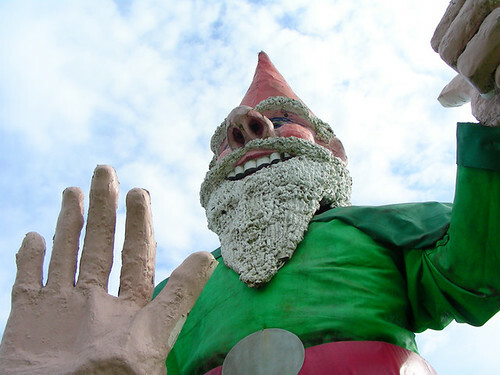 The giant gnome is an ironic icon that can be seen while driving south to Nanoose Bay from Parksville and once marked the spot for a mini golf park and small amusement park. Mountain biking, golfing, hiking and clam digging are also popular regional activities. Nanoose Bay is undoubtedly a surprising getaway from the everyday and, as I’ve quickly discovered, much more than meets the eye. Pacific Shores Resort & Spa is an anchor for the local tourism industry, also featuring scrumptious fare at The Landing West Coast Grill. If the food and accommodation isn’t enticing enough, the views certainly will be. 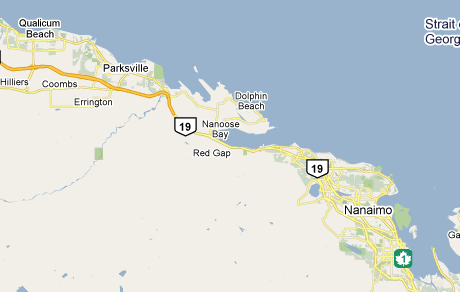 Nanoose Bay is located approximately 15 km south of Parksville and 20 km north of Nanaimo on Highway 19. For more information about the area or to plan your trip to the area, please visit Oceanside Tourism online. 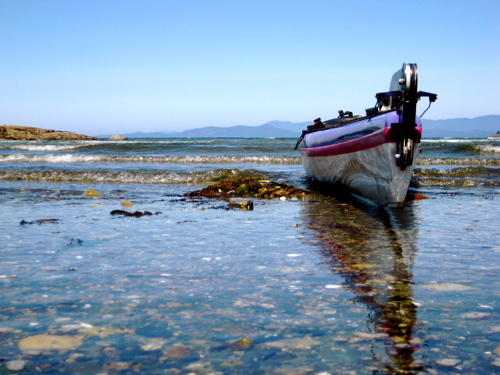 Do you have a Vancouver Island-based business or group you’d like featured in Island Profile? Is there a community you’d like to learn more about that hasn’t been covered yet? Please feel free to contact me with your ideas! ← Pumpkin Patches And Corn Mazes And Apple Orchards – Oh My! I should really spend some time exploring our island history…. Funny – about that Giant…I get my kids to scream “Bye Friendly Giant!” every time we head north on the highway and “Hi! Friendly Giant” every time we come back. And of course, I provide the voice of the Giant! Good times – it’s the small things that memories of a lifetime are made of! Hey, my house sits just above what would have been Red Gap, the bay is my view every morning! I am happy to call Nanoose Bay my home. What a stunning gem of a place. Great post, Keira! 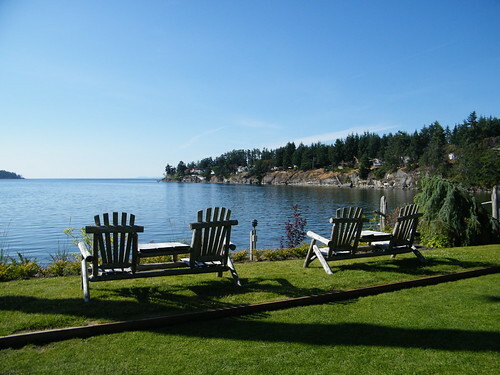 I am looking to retire on the island and Nanoose bay seems like a place I would like to check out. Thanks for the information. I enjoyed your website of nanoose bay. great pictures.